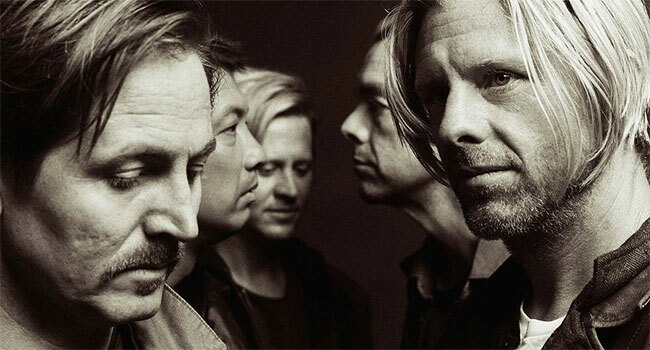 Grammy award-winning rock band Switchfoot expands on their trademark epic soundscapes and explores new themes and textures on Native Tongue, the group’s 11th full-length album set for release on January 18th via Fantasy Records. The band has also announced the North American leg of the Native Tongue Tour, which kicks off in Asheville, N.C. on February 14th. Colony House and Tyson Motsenbocker will join Switchfoot as supporting acts. Public on-sale for the tour begins October 26th. “These are polarizing times, where the loudest voice is often the voice of anger or fear. This album is an attempt to sing that hope into life. To bring a group of diverse songs under one common banner. Hatred is not your native language. Love is your Native Tongue,” expresses Jon Foreman. Feb 14 The Orange Peel – Asheville, N.C.
Feb 16 Tabernacle – Atlanta, Ga.
Feb 17 Ryman Auditorium – Nashville, Tenn.
Feb 19 The Fillmore Silver Spring – Silver Spring, Md. Feb 20 The Fillmore – Philadelphia, Pa.
Feb 22 Wellmont Theater – Montclair, N.J.
Feb 23 The Paramount – Huntington, N.Y.
Feb 24 House of Blues – Boston, Mass. Mar 02 20 Monroe Live – Grand Rapids, Mich.
Mar 03 The Fillmore Detroit – Detroit, Mich.
Mar 05 The Pageant – Saint Louis, Mo. Mar 08 Park West – Chicago, Ill.
Mar 09 Park West – Chicago, Ill.
Mar 10 The Sylvee – Madison, Wisc. Mar 13 New Daisy Theatre – Memphis, Tenn.
Mar 14 Club Brady – Tulsa, Okla.
Mar 21 Iron City – Birmingham, Ala.
Mar 22 The RITZ Ybor – Tampa, Fla.
Mar 23 House of Blues – Lake Buena Vista, Fla.
Mar 24 Revolution – Fort Lauderdale, Fla.
Mar 27 State Theatre – Minneapolis, Minn.
April 03 Rialto Theatre – Tuscon, Ariz.
Apr 04 The Van Buren – Phoenix, Ariz.
Apr 05 The Wiltern – Los Angeles, Calif.
Apr 06 Arlington Theatre – Santa Barbara, Calif.
Apr 07 Warfield Theater – San Francisco, Calif.
Apr 09 McDonald Theatre – Eugene, Ore.
Apr 10 Crystal Ballroom – Portland, Ore.
Apr 11 Neptune Theatre – Seattle, Wash.
Apr 12 Neptune Theatre – Seattle, Wash.